The crowd was gathering. The excitement was tremendous. The stadium (was not a stadium as we know it, more of an oversized outdoor football field) was empty with only a few guards. We wondered how they were really set up for a concert of this magnitude. People had traveled from far and wide for this FREE concert. The Cuban people had traveled from all over the island, and I met people from Sweden, the USA, UK, France and Peru alone in my little circle of people I became very close with (close quarters for 11 hours plus). A few images from the crowd. 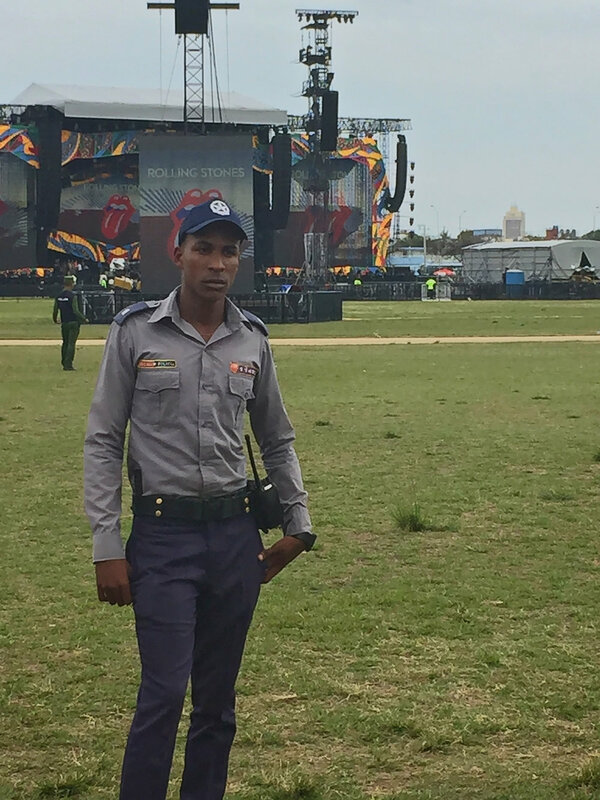 Sara Louise Petty describes the excitement of her experience at the free Rolling Stones concert in Havana, Cuba. All images are copyrighted and are the sole property of Sara Louise Petty. All use and/or publication rights are reserved worldwide. All images and all other content are expressly not in the Public Domain. No images or other content by Sara Louise Petty may be copied, stored, manipulated, published, sold or reproduced in whole or in part in any form without the prior written authorization of an authorized representative of Sara Louise Petty. As copyrighted material, all images by Sara Louise Petty displayed on this site are protected by copyright, intellectual property and all other applicable laws of the United States and other countries worldwide.